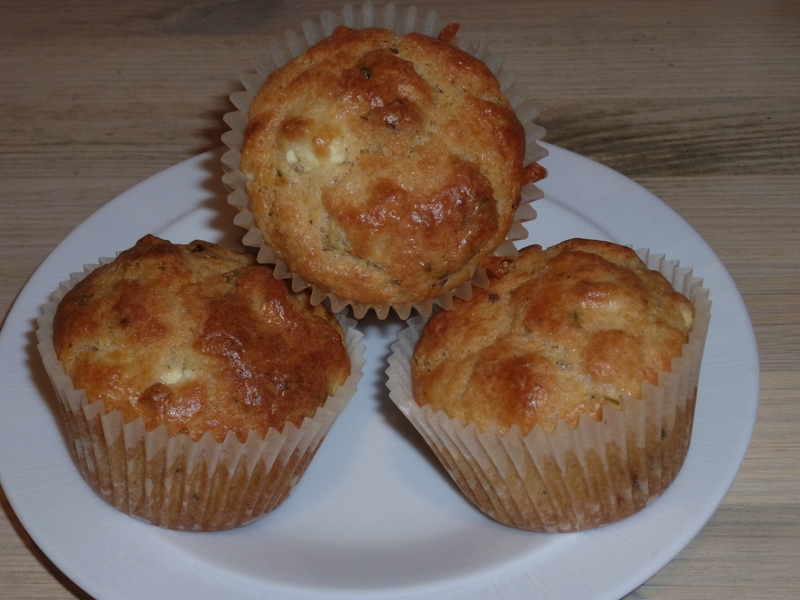 Today I though I’d make some savoury muffins – these are good to have in the freezer to add to packed lunches for school. They would also be great with salad for my lunch at home or on the move. These were made with sun dried tomatoes and feta cheese but I will be trying other combinations over the coming weeks using olives, goats cheese, raisins, nuts and seeds.